In today’s Bible verse, Jesus is talking about how to enter the kingdom of God. He makes it very clear that we can only do this through God’s ability, not in our own strength. There is no amount of good deeds or hard work that can make us right with God. We needed a savior, Jesus. 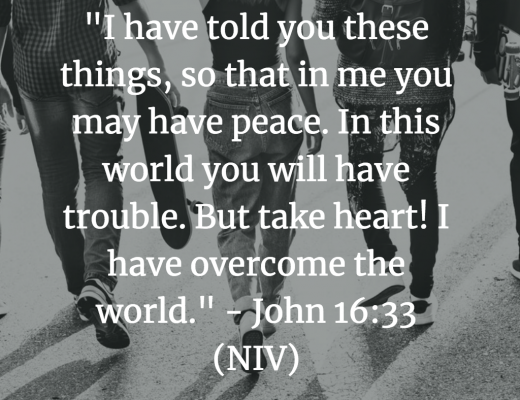 Through Jesus, God made the impossible possible. 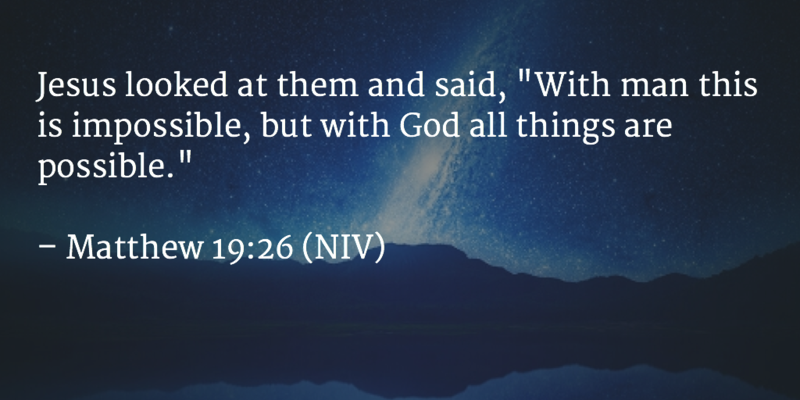 God wants to do the impossible in our lives, but we have to trust Him and believe that what He says is true. Today decide to trust in Jesus and know that if He promised it, it’s possible in our lives. Be encouraged that it’s not in our own ability but through His that these things are possible.